On August 14th at approximately 20:30, a storm was approaching and the sky in the Northwest (behind our house) was black. I was at home and I walked out my back door and picked a tomato off a patio plant. I then walked to the fence on my right and tossed the tomato over it, for the birds. 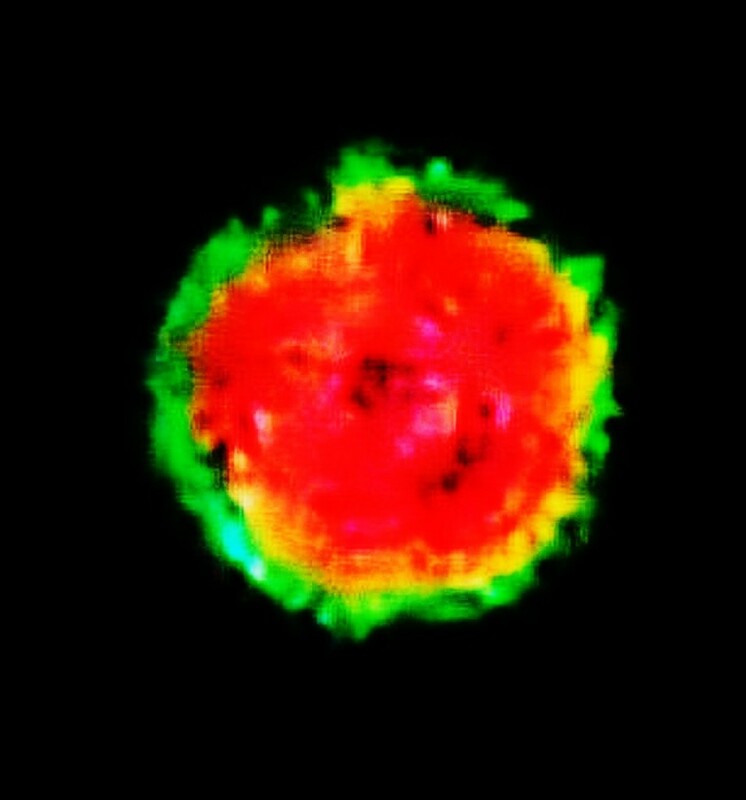 When I turned around, I saw a large orange/red glowing object that reminded me of a burning ember from a fire, very bright. My first thought was obviously, “what is that? !”, my second thought was that it looked like “a jellyfish on fire”. It came from over top of the neighbor’s lower roof (which is probably 10 feet high), moving steadily toward the Southeast, through our backyard. It seemed to move right through trees/leaves – if it navigated around them, I didn’t notice that. There was no sound, no smell, no anything. It appeared to be tranlucent with fire inside of it (or like churning gas), and at some point I saw a clear edge to it – I remember thinking I could see through it, if it weren’t for all that fire inside. When I say it looked like a jellyfish, it was the shape of a contracted, bell-shaped jellyfish. It was approximately 6 feet off the ground moving through the backyard, and I was only about 10 feet from it at one point. I estimate the size to be 8 feet tall by 5 feet wide. It moved at a pace like a fast walk, but steady. I screamed for my husband, who ran out the back door. I was running to the side of the house, pointing and yelling, “Do you see it? !” My husband ran past me to the side yard. My husband only saw the bright orange glow, not the object itself, because there were trees blocking his view of it by the time he got there. Knowing I would lose sight of it on that side, I ran to the other side of the backyard (where I had thrown the tomato over the fence). I was expecting to see it clear the front of the house, low to the ground like I just saw. I saw it in the sky over the houses across the street, climbing higher in the sky – it must have climbed pretty fast because it was only about 6 feet off the ground in the backyard, now it was way above the trees on the other side of the street. While I was watching it from the backyard, my husband ran in the house, grabbed his phone and ran out the garage door. In the backyard, the tree leaves were now blocking my view, so I ran through the house and out the garage door too. 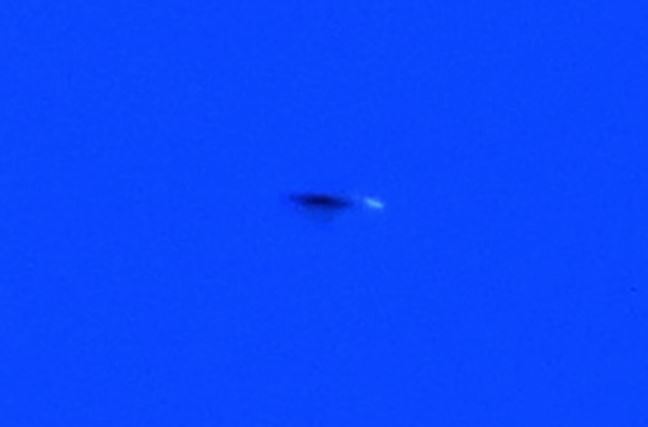 The object had been in the East/Southeast sky at about helipcopter altitude, when I saw it from the backyard. By the time I ran out front (only a matter of seconds), it was now in the Southwest sky and very high up, where planes fly. We continued to watch it climb higher and higher until it was a bright glowing orange dot and then dissappeared. When I saw it, I wasn’t scared – more amazed and curious than anything. I walked/ran toward it. I KNOW I saw something – in the days since I saw it, I’ve tried to reason away the sighting, but there is no other explanation. Our nextdoor neighbor was driving toward home at that time and saw a bright orange glow coming from our backyards. My husband took a picture with his cell phone camera, but all it shows is red/orange on the entire frame. NOTE: The above photo was taken on 6-11-14 at Perry Sound Ontario Canada. 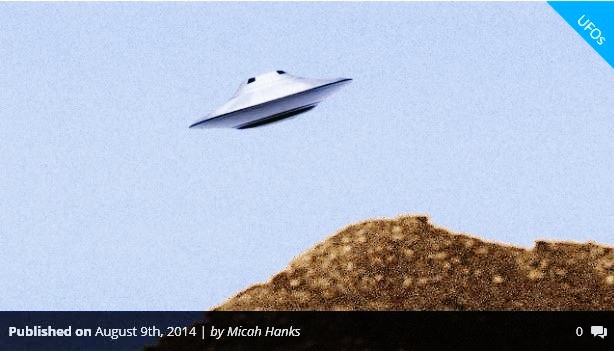 This case is being investigated by Chief Investigator Ken Pfeifer of MUFON New Jersey. Baton Rouge, LA – On the first Monday night in May, 1991, I was watching the news with my dog. The ABC World News had just begun on TV when my dog began to growl. I had never seen her like that. She had a good nature and was playful. Her hair suddenly stood up in a ridge along her back and she was crying and growling at the same time. She jumped off the bed and went to the french door, with indows, that led from the bedroom to the backyard. She didn’t paw to go out. Instead she sat down and kept growling and crying with her fur raised. She kept shaking her head. I got up to see what what was frightening her. When I got to the door I noticed a screeching, buzzing, sound. It was similar to static. The TV blinked and so did the lights. It was actually hurting the dog. When I looked in the backyard it was just beginning to get dark, but there was still some light out. In the distance, just above the tree tops of the woods behind my house, I saw a circular light. It was hovering. I could tell it wasn’t the moon, or anything natural, because it wobbled as it hovered. My dog was staring straight at it and growling viciously. I thought it was odd. I began to stare at it too. As I watched, it was as if I couldn’t take my eyes away. Then I realized we were both unable to move. The static sound got louder but my dog couldn’t shake her head. We were frozen in place. I was terrified. I wanted to run only I couldn’t. The light changed direction. It fell down through the trees and took a path through the woods toward my house. It wove through the trees and got bigger and brighter. It hurt my eyes. It wasn’t stopping it came straight for my door, about six feet off the ground. The light got so bright I thought my eyes would burn. Then it was just gone. I looked down at my dog. She was in exactly the same spot, drooling, and growling, but softer now. I was dizzy and disoriented. I was as if the light passed straight through us. I sat down on the floor to check my dog and she fell over and laid still, panting as if she’d been running. The whole event seemed a few seconds long. When I looked up at the TV, Wheel Of Fortune was ending. An hour and a half had passed. The World News, the Local News, and Wheel Of Fortune had aired. I can’t remember one thing during that time. What is truly strange is that exactly one month later my dog vanished out of my backyard. I had to go out for a while. I left her outside. I had a five foot wooden fence around the yard. It was locked with a padlock. She wasn’t a digger. I got home about nine PM and she was gone. The fence was locked. There was no fur on the ground. There were no holes in the yard. No one could have gotten over the fence, with a thirty-five pound dog, without a ladder. She was just gone. I miss my dog, but mostly, it bothers me that I have no idea what happened during that time frame. I have severe headaches and strange dreams. I don’t like to sleep at night. I have a strange rash all over my body and radiation has been found in the woods behind my house. What happened to me?? NOTE: The above image is a rendering. 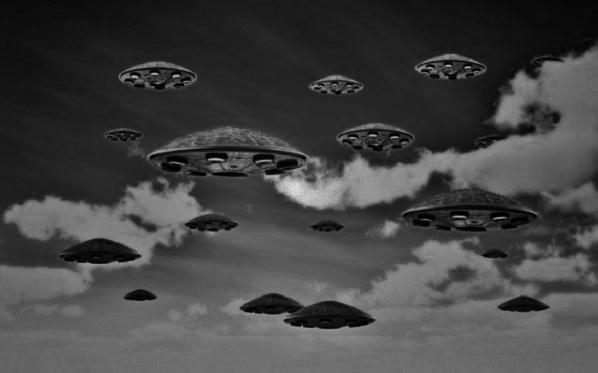 A recent high level meeting sanctioned by Chile’s Civil Aviation Department and included 19 highly qualified experts from an array of specialties has concluded that interestingly enough ” UFOs do not present a threat to any other aircraft.” The meeting was taken very seriously – all reports and records, including the entire government’s archive, even the type of reports that would likely remain highly classified in other countries were thoroughly evaluated. All participants of this meeting stated that UFOs are a real phenomenon, in fact they considered their existence to be obvious. Why is the government of Chile so open and even serious about this topic when the rest of the world seems to either remain silent, secretive, and even dismissive with dodgy explainations like weather balloon malfunctions or military flare ? The international affairs director for the Chile’s Civil Aviation Department blatantly stated quote “For Chileans, this is completely normal and we don’t consider it news at all.” The stark contrast in government and cultural attitudes between Chile and that of, let’s use the USA as an example, towards the exact same phenomenon is so strange that it even becomes a little creepy. Perhaps the reason other governments aren’t as open as Chile’s about UFO phenomenon could be because they have more to hide. Certain other governments of the world, may understand the true reality of strange objects in the sky at a depth so far past that of Chile……that, for whatever reason, they became so afraid of what could happen if certain information was shared publicly that they scared themselves into a position of silence, secrecy, and denial. The results of their analysis and meeting were that UFOs pose a degree risk that would only be a fraction of the same risk posed by a bird flying in the air – most of the risk was associated with the pilots or crew members being distracted. Interestingly, though, they went on to say that some airborn accidents have been attributed to UFOs around the world, however, they could not find solid evidence the UFO was actually related. 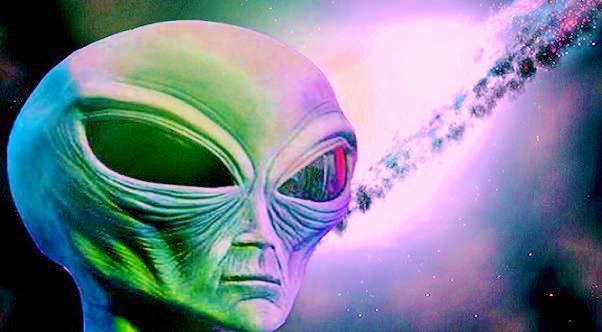 According to worldwide data, whatever intelligence controls UFOs seemingly means no harm towards anyone else it’s sharing the skies with….additionally, they even seem to behave in ways that reduce their risk of an airborne collision. According to Chile, it’s basically undeniable that some sort of unidentified flying objects exist in our skies but what their goal is is still completely unclear. Perhaps Chile’s initiative towards transparency on this issue will usher other countries to join in…many are already cooperating with them already including France and as you can guess a lot of eyes are on the USA. Go deeper into the rabbit hole. Subscribe and discover more mysteries that you probably shouldn’t. NOTE: The above image is a rendering. On June 24, 2014 at the camping site near Mt. Tokachidake (an active volcano in the northern part of Japan), which has been famous for UFO sightings for decades. You can see a bright object soaring up from the bottom right corner of the video screen, but in reality, my camera was facing the zenith, and the object was moving horizontally across the sky from the east to the south. I fixed my camera position and did not follow the object, so the zigzag motion of the object was not because of camera shake. I was the only one looking up the sky and other people (mountain climbers) were already sleeping in their tents. Since the site was at an altitude of 1200 meters and the temperature was very low at night, there were no insects flying, and the fireflies (lightning bugs) do not exist in the area (the fireflies do not fly at such a high speed in the first place and my camera cannot catch such dim lights). The flying insects usually look like black dots in the light and never reflect the light so brightly (only the moth would show blurry reflections). The site was completely dark and there were no outdoor lights nearby (and it was a dark moonless night). I could see many stars in the sky with the naked eyes, but my small digital camera (CASIO EX-H10) could not catch any starlight. So you can guess how bright that object actually was. These video clips are for the general citizens, so at first I did not go into details in my explanation for the media interview especially regarding somewhat mysterious incident occurred before the UFO appeared. About one and half hours before I saw UFO, I was surprised by a small mechanical sound that I heard from my left side (no more than two feet from where I was standing in the camping site), and I saw a long-haired young woman in white clothes. As I mentioned,the site was almost completely dark and I could not even see my shoes very well, so I could narrowly recognized that woman but could not see her face. Then I saw a small and round red light in front of her chest or her solar plexus. I supposed she would be fixing her camera to a tripod to take pictures of beautiful starry sky (but I did not actually see any camera or tripod) . That slender lady was about 5 feet and 7 inches tall and had black hair. Although I wondered why she was working in the darkness without any lights, I stepped back silently because she did not seem to have noticed that I was standing so close to her and I did not want to surpise a young woman in the darkness. After that I kept standing for a while at some distance from her, but the next time I found that she was gone – disappeared without making any sounds of walking. In the camping site,I could hear footsteps very well even if they were more than 20 meters away. I wondered where she had gone because I did not hear any sounds of car. It was too dangerous for anyone to leave the site on foot because there were wild bears often appear in that area. She was not looking up overhead but straight ahead to the east where the Tokachidake mountains rises – and it was the very direction where the UFO appeared about one and half hours later. 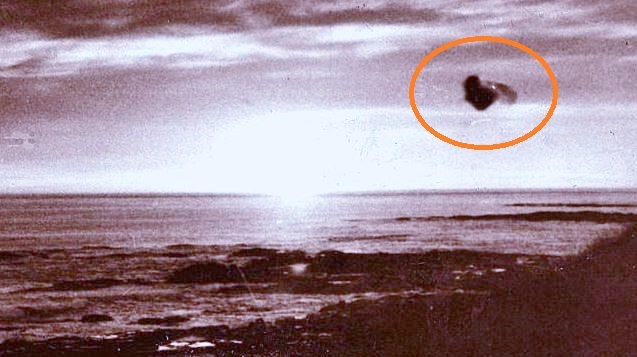 Although there is no certain links between that mysterious lady and the UFO, I have to say that I had seen another mysterious young gentleman who suddenly disappeared before another UFO appeared in the sky when I was waiting for the chance to videotape UFO on the beach of Kamakura on February 25 in 2014. 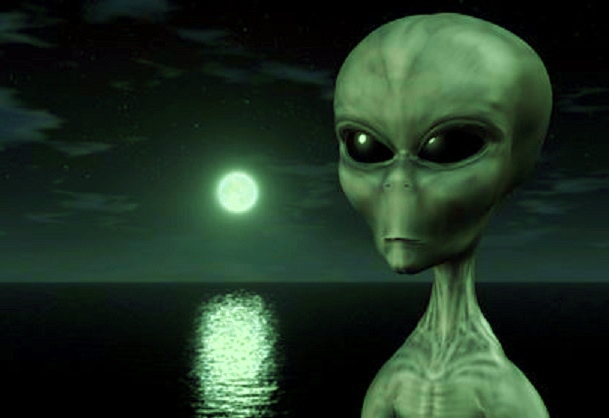 At that time, I saw a large disk-shaped green UFO that circled over my head and flew away. I was so surprised to see the UFO at a such close range that I momentarily forgot about taking its picture even though I had my camera at hand. Having had such similar two experiences, I came to believe that the mysterious lady and the gentleman may have something to do with the UFOs that appeared after these mysterious people disappeared. I have videotaped night scenes with my digital camera many times but I have never seen any digital noises. 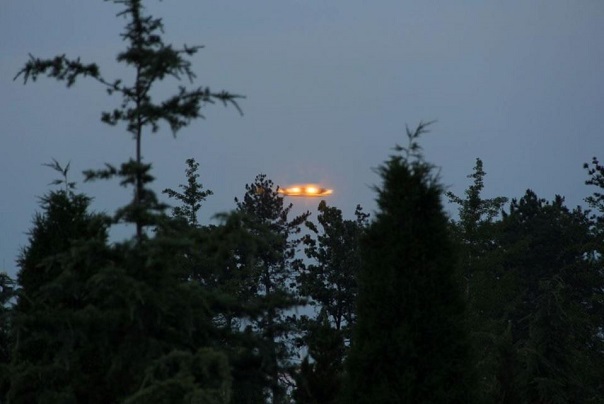 On the other hand, I have heard from my friends that they had witnessed a strange bright object flying with the zigzag motion in Hokkaido area which is one of the most famous UFO hot-spots in Japan. 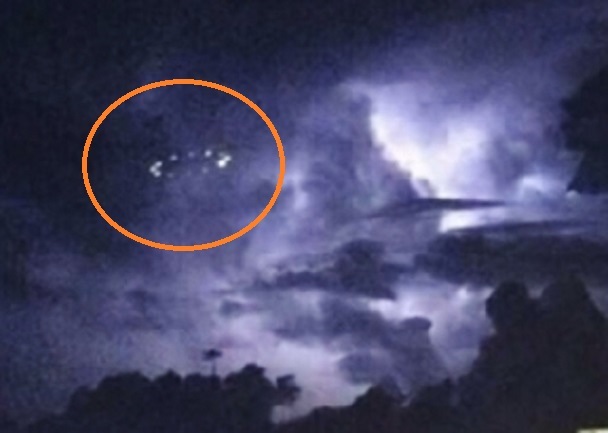 For the past several years, I have debunked many fake photos and videos as well as mistaken UFO reports, but it does not mean that I am a non-believer. I just wish to know the truth only. So I have conducted a camping in Hokkaido which is very far from Tokyo where I live. And fortunately I had opportunities to videotape the flying objects UFO with zigzag motion. Special thanks to Yuji Mashiko, witness and photographer. Joseph Stillwell (involved in a previous encounter) was awakened by an odd noise, a low toned “pop”, and immediately opened his eyes. He was lying on his back and although his face was exposed, the bedding was pulled upward and piled at his chin, in a pyramidal shape, so high that he could only see the ceiling directly above. The pointed apex of this form was an arms-length high and the sides descended, arrow straight, to either side of his shoulders. Looking up, left or right, the edge of this structure was even with his chin and perfectly aligned, vertical and flat, as if cut with a knife. Nothing was supporting this structure and it was only touching his shoulders. The void between his torso and the peak of the bedding was several feet high yet the sides of the structure, though descending at significant angles to either shoulder, remained straight and vertical as if solid. He stared with wonderment at the sky blue light that was pulsing across the ceiling. It was lit in a dim, pulsating, blue glow, across the width of the room and down the walls, the source of which was toward the foot of the bed, obscured from his view by the bizarre mound of blankets. He brought both arms up from his sides and grasped the pile and pulled it down as he raised his head. There was no resistance. The ceiling at the end of the room was brightly lit, brilliant blue and moving. It looked like the agitated surface of a swimming pool, with randomly forming intertwining light patterns against a bright blue background. It was three-dimensional, projecting off of the plane where the ceiling should be. It also had depth, with the “water-like” medium visible well above where the ceiling, attic, and roof should have been. It appeared that the affected portion of the ceiling and house was gone. This moving portion of the ceiling spanned the width of the room, with crisp termination at the three walls it was touching. It projected about eighteen inches out from the far wall and the border that was an open ceiling was different. 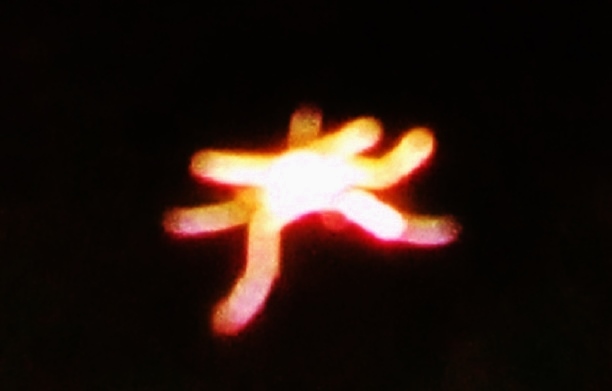 It was fuzzy, or blurred and quite different from the other edges. It made no sound even though that section of ceiling was moving rapidly. He was mesmerized by this display as he lifted his head. There was someone standing at the foot of his bed, directly at his feet. The blue band on the ceiling waned and the thing at the foot of the bed started glowing blue. Its head shone, beautiful blue, flickered twice and went dark. It was big and it was not human. It was at least six feet tall, with a head twice the size of a man and enormous black eyes. It was wearing a dark cape that was cinched at the chin with a short collar that had a small “V” opening at the front and ran up to the jaw line on either side. It was looking slightly to its right as the witness raised his head and either seeing him move or sensing movement it turned its head and looked straight at him. That was the only time he saw it move. Its head was much wider than where its’ shoulders should be. The portion of the cape just below the collar could not have been more than eight inches in breadth. The cape covered its entire body and splayed outward as it hung below the foot of his bed, out of his field of view. It had numerous vertical folds and appeared to be flexible, as cloth. He did not see it move. At some point the blue band on the ceiling reappeared and though he never took his eyes off of this creature he did not see it happen. It was just there much larger than before, covering about 40% of the ceiling from the far wall to the foot of his bed. From the edge on open ceiling hung a vertical, transparent, “curtain” of moving light. It appeared as a giant pane of glass spanning the breadth of the room, wall to wall and from ceiling to floor. Contorting rays of blue and white light rippled across and down this plane and gave it the appearance of movement (as in a windblown flag). The ceiling was moving much differently than before and because of the increase in area affected was illuminating the entire room in bright blue. The ceiling pattern was now not random rippling but row upon row of undulating blue tubes, about one and a half inches in diameter, moving across the width of the room. The edges of each tube were shadowed with gray and the entire affected area of the ceiling was slightly out of focus, fuzzy. There were scores of rows of these things, side by side, apparently touching and undulating up and down with no synchronization to each of the others movement. They emanated from the left wall and disappeared into the right side wall, endlessly. The display was also three-dimensional with the tubes curving down below the ceiling plane and then up beyond where the ceiling and roof should be. It was as if the ceiling in the lit portion of the room was, again, gone. The witness was in awe and kept thinking, “remember everything”. Because the room was so brightly lit it was easy to see detail in the creature standing before him. With his head raised, the distance from his face to the creature was maybe five feet. It was standing just behind the “curtain of light” and never passed through it. Its face was the size of a human size and shape. The mouth was narrow, no lips, and remained as a straight slit the entire time. The nose was small and had two nostrils. Ears were smaller than ours, but not tiny, and flat against the sides of its head. It’s eyes were huge and jet black, and though they appeared wet and glossy he never saw it blink, nor did he detect eyelids. Its cranium was startling in its size and shape. It was twice the size of an adult human and when he originally raised his head as it was looking to its right he could see that the back of its head cantilevered dramatically over the back of its neck. It had no hair, but where the position of a forehead hairline would be, was instead, a crease in its skull that ran around its entire head. The top of its head was flattened and where that surface met the curved sides of the head it formed a ridge or edge where the two dissimilar surfaces met. He noticed something about its eyes when it first turned to him when he moved. Its eyes were black and identical as it turned, but when it set its gaze on him its right eye caught the light differently than the left. He could actually see through the external membrane into the back of the eye. There was an area of vertical, silver striation that appeared to be part of its inner eye. Its expression never changed. It made no sound. It did not move. At some point, the “curtain of light” and the undulating tubes in the ceiling were gone. He never looked away, but he did not see them disappear. They were just gone. Something appeared on the eyes of the creature. Again, though he did not avert his gaze he did not see it materialize. It was just there. It looked similar to “netting” but with a crude and randomly spaced and shaped weave. The color was light brown and both eyes were affected. This “netting” transformed from a narrow brown matrix to a much broader, crisp, gray and white, glossy material. The pattern remained the same but the appearance of the substance forming the pattern changed dramatically. He was staring into its eyes from five feet away and did not see the transition. He has no explanation for this. He lay back on the pillow, never breaking his gaze. He did not move. He doesn’t know if he was able but no part of him moved. He recalled having no sensation. He felt no fear. There was no sound. The creature displayed no alarm at him waking and showed no aggression. At some point the “curtain of light” and moving blue ceiling reappeared and increased dramatically in brightness, so quickly and so bright that he raised his head and had to squint his eyes to see. He was trying to see the true color of the creature through the blue and white light, which at this point, was swirling around the being. The “light curtain” still existed across the room but a “cyclone” of light encircled the creature. Myriad white and blue bolts of light created a sparkling cascade of “glitter” as they randomly crossed through each other, surrounding this being in a cocoon of sparking light. The room was brilliant with flashing and swirling blue and white light, enabling him to easily see detail of the creatures head. Its skin was not blue, but a very light gray mottled with purple. The color reminded him of how a human, exhibiting cyanosis, looks. There were vessels coursing across its face and head, some exceptionally large, primarily on its forehead. They were blue, with many easily visible bifurcations, and looked like the vessels we see on very pale humans. There was one especially large vein above its right eye that ran vertically; split at the skull crease, with the largest section running up onto the top of its head and a smaller, yet very prominent branch, running left laterally just below the crease. Despite the intense light being generated in the room he never saw this creature blink, yet its eyes remained as glossy as polished lacquer. It seemed to be emanating light and the “glitter” effect became almost blinding as the cyclonic swirls surrounding this creature increased in speed. There was no sound. He has a clear memory of the creature being in the air, off the floor, encased in light, with its left side toward him. It is the only postural change that he remembers but he never saw it happen. He only remembers that it was in the air. He was looking right at it and did not see it rise. It somehow got in the air, surrounded by swirling light. The creature was still in its position at the foot of his bed, behind the “light curtain” (having never crossed through it) when the witness had a sudden awareness that his feet were almost touching the transparent vertical surface. He could feel that his heels were over the end of the mattress, but he could not move them. To this point he had felt no fear, only a sense of amazement and wonder. But suddenly, he was gripped with a sense of terror. It was immediate and crippling in its intensity. The creature did nothing that he could recall that would have prompted his fear. However his curiosity and sense of enchantment instantly turned to a feeling of impending doom. This is the point where he remembers sensing his body. He could physically feel and his emotion was hopelessness. It is the only time in his life that he knew something was about to happen to him and that the outcome was not only going to be dire, but he could not stop it. His arms moved and he rolled onto his left side. His eyes closed. He doesn’t know why. There was no sound. He thinks that he was lying there for about a minute. His eyes opened and he looked over his shoulder to where the creature stood. It was gone, as was the transparent “curtain”, and the blue light. He was disoriented, confused. He did not appear to be in his room and it was not as dark as it should be. The walls to his left and ahead of him were not where they should have been. They were both too far away. He sat up and did not recognize the room. The walls were not where they should be. The room was too big. He was dizzy and did not know where he was. He leaned back on his left arm, feeling like he was going to fall over. He was certain he was in his room and kept looking around trying to orient himself. The wall to his left and at the foot of the bed seemed to be moving away from him. He could not explain how in one instant he was conscious and lucid, and the next, groggy, disoriented, and weak. He fell onto his back and wondered why it was lighter than it should be. It appeared to be almost morning. Everything seemed different, foreign. His last thought was resignation that this must be his room. He woke up in the morning. His memory of this event is disjointed and he cannot explain why. When he last saw the creature it was standing at the foot of his bed. He has a vivid, detailed memory of its face being so close to his that he could only see its right eye. Its face would have had to be almost touching his for this to have occurred. He never saw it move toward him. There was a time when a significant part of the bedroom ceiling appeared to be gone. Large undulating, blue tubes were where the ceiling should have been and their movement and height was well up beyond where the plane of the ceiling should have been. He failed to notice any relationship between that phenomenon and the display moving across the transparent panel. Like much of what happened that night, he may have been looking directly at it but did not see it happen. He has no explanation for those lapses. NOTE: The above image is a rendering. Joseph Stillwell had awakened to use the bathroom and had returned to his room. He has a habit of going to the window (facing west) and looking at the night sky before getting back in bed. At that time of year the moon and Orion constellation are up to the left, looking out. The night was crystal clear, calm, and the moonlight remarkably bright. Wanting to locate Orion, his gaze was initially to the left. Immediately he sensed movement in the sky to his right. He turned and saw a structure moving slowly overhead, brightly lit, and unlike anything he had ever seen or heard described. It could not have been more than three hundred feet away. It was shaped like a brick and was, by volume, the largest thing he had ever seen in flight. It had four sides, each rectangular, and ends that were about one third the area of the sides, also rectangular. The sides were approximately ninety to one feet long with the ends forty feet wide and thirty feet tall. It was moving toward and parallel to the rear of his house. At a point directly behind his house it would have been around twenty five feet (horizontally) from the building. It moved very slow, maybe ten miles an hour, and was alarmingly low, less than two hundred feet. The color was dull black, solid, seamless, with no windows or doors. The two sides and end that he could see were perfectly flat and non-reflective. The perimeter of the lower face (bottom) of the object was encircled with large red and green lights the size and shape of footballs. The colors alternated with every other one being red and green. The lights switched on and off in sequence running clockwise around the perimeter with at least four equally spaced points off simultaneously, giving the impression of rotation (as a theater marquee). These lights easily numbered more than one hundred. There was no sound. The movement of this thing was straight ahead, with no deviation in altitude nor laterally. Its flight was completely independent. There was nothing above or below the object, and nothing pulling or pushing it through the sky. He watched, never looking away, until it disappeared behind his house. He turned from the window with the intent of walking across the hall to the bedroom on the other side to watch the object pass. He managed just one step and stopped, at the foot of his bed, in the center of his room. He had not wanted to stop, he just stopped. He was unable to move, though he must have been breathing normally and possessed clear thought. He was completely paralyzed, standing. He was thinking that he just needed to walk a few steps to the other room but no part of him would move. He had lost all feeling and sensation. He does not know how long he was incapacitated but at some point he moved forward, without intention to do so. However, instead of going where he originally intended, he turned and sat on the edge of the bed, again unintentionally. He did not want to be there and thought that he should just get up and go see the object in the sky fly away, but again he could not move. His mind seemed completely disconnected with his body, but he felt no concern. He was sitting at the edge of the bed, suddenly exhausted, when instantly the room lit up brightly. A light shone through the window to his left (about two feet away), facing the backyard. No part of him could move and quickly lost all strength, slumping forward, but could only think about and be awestruck about the “whiteness” of the light. Although exceptionally bright, its absolute clarity was the focus of his thought. Other than awe, he felt no emotion, and to this point he had experienced no fear. He could not move and his strength was depleted. He was seated about half way up the right side of the bed, sitting well back, with the back of his lower legs handing between his knees. He had slumped so far forward that his face was almost touching his hands. He felt as though he was about to crumple to the floor and remember thinking, “They are at the window, don’t look.” At that instant he fell over onto his left side onto the bed. His legs were still over the side of the bed with both of his feet still on the floor. His eyes closed and he was confused as to why his feet were “stuck” to the floor. He wondered why he couldn’t open his eyes, whey he couldn’t lift his arms, and why his feet were so heavy. He had no thought of the craft in the sky or the light in his room. His concern was his feet and how he could retrieve them. Both of his hands had been on his lap when he fell over and were now lying at the edge of the bed, over which my legs were hanging. He managed to move the fingers of his right hand and grab his right knee and pulled. He could not move it. He was barely able to move the fingers of his left hand and gripped his right wrist. He pulled as hard as he could and his foot slowly lifted off the floor. He could not open his eyes and he heard no sound. It took quite a while but eventually his left drug up onto the bed. The same process for the left leg was successful and at that point he believes he lost consciousness. He has no further memory of that night. He opened his eyes and it was morning. NOTE: The above image is a rendering. 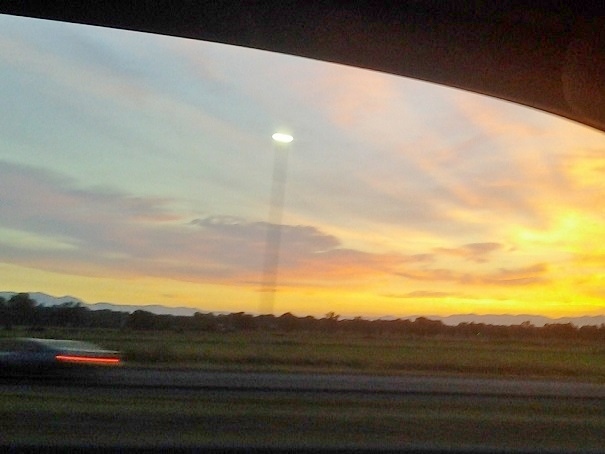 On the night of 8/14/14 at approximately 8:48 pm, I was traveling south on Highway 10 in Catawba, NC. As I rounded a corner in the road, still facing south, I immediately saw three white-yellow-orange lights in a vertical formation in the sky in front of me at a distance of about 10 miles. The middle light in the arrangement was orders of magnitude brighter than anything in the visible sky. The other two lights were also brighter than anything else in the sky besides the center light. The lights appeared to be about three or four times the size of a radio tower light or about a quarter of the size of a full moon. I would estimate that the lights were between 1 and 2 miles high in the sky. The middle light in the vertical arrangement appeared to be the center or focal point for the other lights to move around. Upon closer inspection, I noticed there were smaller, whiter lights that were not connected to the vertical arrangement that would move up, down, left, and right. All of the smaller white lights not involved in the original vertical arrangement of lights would move independently but would all return to the center light, which was the brightest, before finally disappearing and then reappearing again seconds later at another point in the sky. I took video of this for two minutes before the lights, which were moving south, fell below the tree line. I followed in the direction of the lights and about 4 miles further south (going towards Lincoln County, NC) caught the arrangement of the three main lights through a tree line. When I stopped my vehicle, the three brightest lights were no longer in a vertical formation but a triangular formation. At this point the lights appeared higher in the sky, which I assumed meant I was positioned more “underneath” the objects. 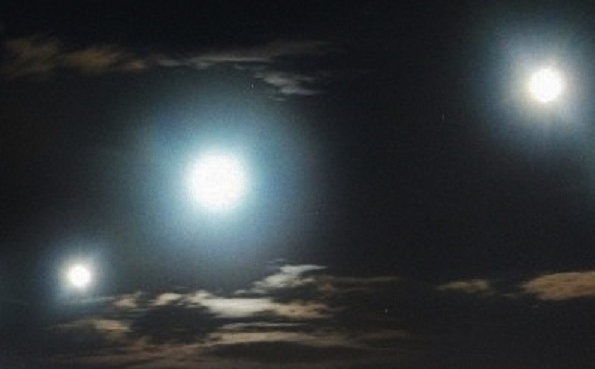 Upon inspecting the lights, and within a minute of seeing the object at the second location, two of the lights merged and then slowly drifted to again merge with the brightest center light. I was not able to video this formation. The object then passed below the tree tops and I continued to follow south. Three minutes later and two miles further south by southwest I witnessed the brightest main light for a few seconds before it continued to move south. This was the last visual confirmation of the object(s). NOTE: The above image is a rendering. “The origin of the crashed craft was apparently the double star system RA known on earth as 78 mu-1, Cygni, 73.1 light years in distance. Among the information given to the Germans by the surviving alien was that they had built underground bases in the polar region of the Canadian Northern Territories maybe Baffin Island. This data was supplied to Adolph Hitler himself. But no substantial technical data was in fact provided by the alien that could had help Nazi scientists to cope with the alien technology, despite their desperate attempt to obtain such data. The surviving alien also informed the Germans that the crashed was caused by some kind of technical malfunction. The alien was kept and interrogated at the same underground installation as the disk.” “Adolph Hitler and some other top Nazi figures including Werner Von Braun and Air Marshall Hermann Goring inspected the crashed disk, the alien bodies and consulted Nazi scientists in an attempt to use the object as a super secret weapon. Among those scientist involved in investigating the crashed disc were, Max Von Laue, Otto Hahn (who discovered nuclear fusion) and Werner Heisenberg. Fortunately (and unfortunately for the Nazis) the alien technology was extremely sophisticated and difficult to understand. The disc indeed inspired some Nazi scientists to construct different models of disc-shaped planes and the so-called flying bombs.” “This crash and possession of the extraterrestrial spacecraft was one of the factors that possibly inspired Hitler with extreme self-confidence to start World War II, hoping to use the craft as a sort of super weapon that would eventually help him conquer the world. Because of the approaching Soviet troops the whole underground complex was blown up, and the disk and the alien bodies was buried in one of the underground tunnels, the entrance was sealed with numerous huge rocks. It is apparently still there, unbeknownst to the Polish Government. The disk apparently still emanates radiation from its power plant, but because of the nearby uranium mines this source of radiation remains undetected.” NOTE: The above image is a rendering. I can say beyond a shadow of doubt that the sighting of lights definitely was NOT a reflection and to offer that as a plausible explanation is pure nonsense. I live approximately 70 miles NW of Houston. Although Houston had rain, we had no rain that evening, Monday 8/11/14. I was not in a car and clearly saw the unidentifiable lights. From my vantage point I saw a ring of colored lights, some brighter than others, that appeared to be a round to oblong shaped ring of lights. The ring of lights seemed as if the ring was standing on edge and appeared to change shape as if the ring would partially rotate on a perpendicular axis in one direction to another and at one point seemed to tilt. The lights then just vanished and were no longer visible without apparent streaking away. I thought at first a helicopter or plane, but realized that clearly was not the case. I was driving down the read on my ranch cart heading in the direction of the object. The bright colored abnormal lights is what caught my attention just above a distant tree line. It was not a typical rotary nor fixed wing aircraft. Feelings, wonderment, wanted visually confirmation what I was seeing. The road is hilly as the geography. The objects became obscured by the tree line as the road changed. My girlfriend decided to go out to Millennium Park in Dorval, QC. It’s a nice park with an open area where you can sit and star gaze. My girlfriend placed the bed sheets and blanket that she brought with her right in the middle of the park. The moon was very bright and the sky was semi-polluted where you can still see the stars, but the sky wasn’t pitch black. After about 20 minutes of star gazing, my girlfriend pointed towards the south and said “Hey look, what is that?” I quickly looked where she was pointing only to see a very distinctive circular object. The UFO had a grey base which matched the color of the polluted sky, but it also had a “flaming” orange color on the outer edges all around. 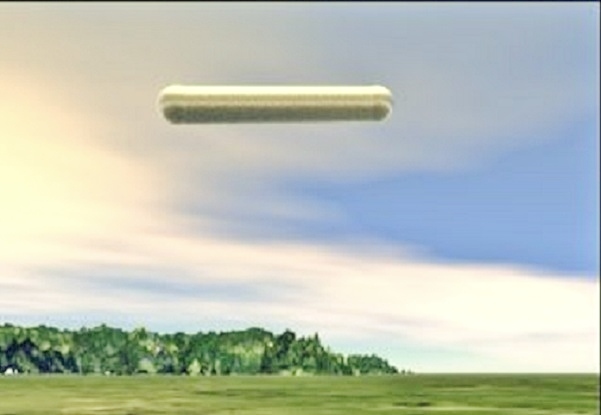 What was particularly strange about this UFO is that it was gliding, made no sound, and would change speeds. The UFO was slow from the beginning, but started to gain bursts of speeds every second. It wasn’t a constant speed which was strange. There were plenty of planes flying around with big flashy lights and going at the same speed. The object we witnessed was going slower than the planes we were looking at, but has a very distinctive oval shape, and had an orange/flaming ring on the outside which definitely distinguished itself from any plane we saw. The UFO eventually glided out of sight and that was the last we saw of it. NOTE: The above image is a rendering. The main witness who was on vessel security watch on this night and another crewman had both previously seen fireballs crossing over the river. So, on this night he decided to wave his flashlight at it. It crossed to the center of the river, always to the same spot, where they anchored their gravel barges. It sat there for about 10 minutes, just a ball of fire, soon the fire dissipated and the witness saw a disc-shaped object about 30 meters in diameter with a dome on top and a smaller dome on the bottom. The color of the object was silver metallic and it had rotating amber and white lights with a small greenish light on the bottom. It hovered for about 2 minutes and then started moving towards their vessel (a US Army 65ft harbor tug). The disc then turned off its lights and stopped at approximately 10 feet from where the main witness was standing. For some reason he felt no fear. There was absolutely no noise as the upper dome started to shift revealing a window-like opening which covered 1/4 of the dome, an eerie green light illuminates the inside of the craft. Suddenly an occupant peers from the side of the window, then 2 more appear just looking at the witness. He waves at them and they wave back. This went on for about 5 minutes or so. The occupants were pointing at his uniform and rifle, so he put the rifle down. He described the humanoids as about 3.5ft in height, with bluish green skin, large eyes, not almond shaped, but round with bright green pupils, slender bodies with 4 digits on each hand. They resembled small children, with small ears, nose and mouth which never opened. They appeared to be using hand language and were pointing at different items. The witness was trying to communicate but didn’t know how. So he gestured to them that he was going to get another crew member from below, so he went below and woke the skipper. The skipper didn’t know what the witness was trying to tell him so he came topside and the disk had moved around the rear of the vessel, and the skipper was about to “chew him out” when the disc moved forward. At this point the skipper began screaming and began grabbing for the rifle. The witness fought with skipper, preventing him from shooting at the disc and kept yelling at the occupants of the disc to get “out of range”. Just as soon as the disc moved away from the vessel, the skipper started calming down. The disc then moved up the river and suddenly disappeared at high speed. NOTE: The above image is a rendering. On a chilly Saturday night in November 1974, three teenage boys lit up a Carbondale, PA silt pond and sparked a UFO legend that still glows 40 years later. The boys, including Robert Gillette Jr., reported to police on Nov. 9 they saw “a red, whirring ball fly over Salem Mountain and into the mine pond.” What would become known as the “Carbondale UFO” drew police officers, military, UFO enthusiasts and curious spectators from across the country. The glow lasted nine hours. After two days, a diver emerged from the murky waters with nothing but an old railroad lantern in hand. Twenty-five years later, Gillette admitted throwing the battery-powered lantern into the pond to scare his sister, but the legend lives on. The city plans to mark the upcoming 40th anniversary of the “close encounter” during the Pioneer Nights – Ethnic Heritage Festival with the Carbon D. Alien Regatta on Saturday. Alex Kelly, co-owner of Icon Technologies, grew up down the road from the silt pond. He doesn’t remember any UFOs or little green men but he does recall the “chaos the next day.” “There were cars everywhere, we couldn’t get out of our driveway,” he said. A Scranton Times reporter described seeing licenses plates from 17 states and Canada at the pond. A story published on Nov. 12, 1974, reports that crowds showed up from New York and Connecticut. Every regional newspaper, radio and television station was live from the scene including a three-man news crew from Philadelphia. 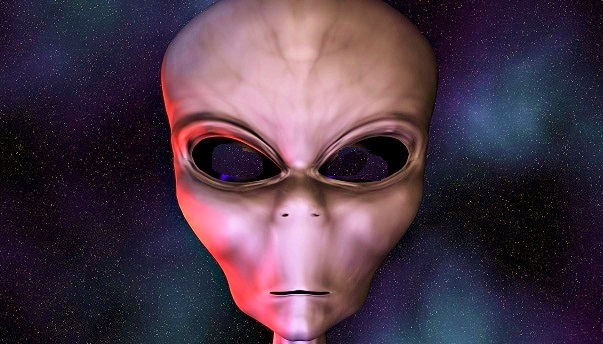 UFO specialists from New York, New Jersey and Northwestern University in Illinois investigated. A lengthy report by Matthew J. Graeber from the UFO Research Investigation Center in Philadelphia is still on file today at the Carbondale Historical Society. Police manning the overwhelmed phone lines reported calls from as far away as England. People of all backgrounds and occupations surrounded the pond behind Russell Park, making the light in the water the lesser of then-police chief Francis Dottle’s worries. He was more concerned about the masses on the shore. Kelly said believers and non-believers of the legend are separated into a few groups. Some believe the glow was caused by a lantern thrown into the pond. Others insist a craft from outer space landed in the small pond and the government covered it up. 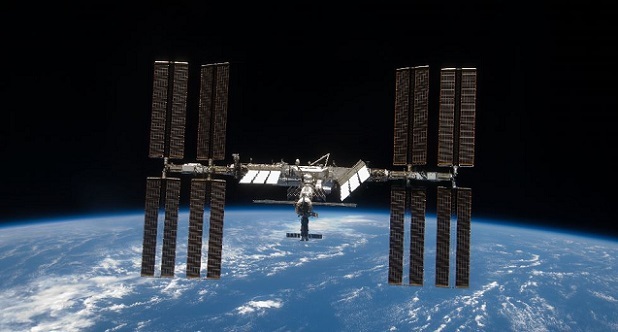 One popular theory is that the illumination came from a fallen spy satellite, maybe from Russia, maybe from the United States, he said. Jim Racht, also a co-owner of Icon Technologies, said, “People either roll their eyes or say, ‘Yeah, they took something out of there.’” Involved with the Carbondale Historical Society and the Route 6 Task Force, Kelly and Racht began researching the event after an interview for WVIA’s “My Town” documentary about the city. Kelly said when Michele Bannon, city clerk, suggested including the UFO landing in the town’s history, the two men raised their hands and got to work. One question they asked themselves was if there was a UFO, who drove the craft? Shortly after the documentary premiered in 2012 the two men started the website, carbondalien.com. The site features old and new photos of Carbondale doctored to include the life-sized green extraterrestrial plastic figure, which they took to the WVIA documentary premiere. A comprehensive history of the lore is also on the site. In Racht’s 2010 book about the history of Carbondale, he dubs the incident the “Birth of a Suburban Legend.” Sitting in their office next to a nearly five-foot-tall green extraterrestrial-looking figure wearing a white T-shirt, Kelly and Racht said one thing that most Carbondale residents agree that a flat bed truck hauled something covered by a blue tarp away from the scene all those years ago. NOTE: The above image is real and was taken on 3-6-10 in Reading Pennsylvania. “One could clearly see a powerful blinking signal which resembled a camera flash in the night sky. The object flew over the unit’s logistics yard and moved in the direction of the rocket weapons depot, 300 meters [1,000 ft.] away. It hovered over the depot at a height of 20 meters [65 ft.]. The UFO’s hull shone with a dim green light which looked like phosphorous. It was a disc, 4 or 5 m. [13-17 ft.] in diameter, with a semispherical top. In 1989, at a military base and suspected underground facility near the nuclear test site of Kapustin Yar, members of two army units noticed a UFO which hovered for hours over the arsenal of the base. The KGB files contained the handwritten reports of the sighting. It flew over the stores of the unit and moved in the direction of the missile arsenal. When it hovered over the arsenal, a bright ray appeared on its underside. Very little was known about UFO investigations in Russia and the republics of the former USSR during the communist era. UFOs were officially labeled “capitalist propaganda” in the 1950s and 1960s. A few scientists such as Professor Felix Zigel and Yuri Fomin documented UFO incidents, but their results were rarely published and circulated mostly in samizdat form. Ufology began to prosper in the early 1980s when “Commissions on Anomalous Phenomena” were established under the patronage of a few academicians. INVESTIGATORS have shed new light on one of Australia’s greatest aviation mysteries. Almost 36 years to the month that Victorian pilot Fred Valentich vanished without a trace, an independent researcher says there is evidence suggesting the 20-year-old’s Cessna was spotted in the sky over South Australia — attached to a UFO. The Victorian UFO ­Action group wants help to identify a farmer near Adelaide who reportedly ­witnessed the 30m craft hovering over his property the morning after Mr Valentich went missing. It is claimed the Cessna was stuck to the side of the craft, leaking oil. The farmer even scratched the plane’s registration number on to his tractor but never came forward with the information because he was ridiculed by the few friends he told. The theory has sparked furious debate as the nation’s leading UFO investigators prepare for a national conference in Melbourne next month. Lead investigator George Simpson, one of the last people to see the plane in the sky, says the farmer, if still alive, might have information to solve the mystery. He conceded there was no proof, but said it was the best new lead for a case that had intrigued Australians for decades. “It’s easy for some to dismiss, but there are corroborating stories confirming that there was a UFO near Adelaide at the time,” Mr Simpson said. Mr Valentich had been on a routine cargo flight to King Island in October 1978 when he disappeared. In his last conversation with air traffic control, he ­reported an object hovering in front of him and said it was “not an aircraft’’. It was the last thing Mr Valentich said before a strange metallic clicking sound was heard and the transmission stopped. Extensive searches failed to find any trace of the plane or the pilot. “This was an experienced pilot who should have been able to identify another aircraft but was clearly unable to,” Mr Simpson said. Adding to the mystery, an amateur photo taken in the area that evening shows a dark unidentifiable shape in the sky. Investigators are also trying to find a copy of Valentich’s final transmission that was originally aired on Melbourne radio station 3XY. The Valentich case will be among a string of Aussie X-files to be discussed when the Victorian UFO Action group hosts its “Age of Reason” conference on September 6. NOTE; The above photo was taken off Cape Otway 20 minutes before his plane disappeared. To Whom it May Concern, I wanted to report a siting and ask about the possibilities of how I could test soil as we are curious. In the late 70’s my Mother awoke to visit the restroom in the middle of the night in the top level of our home, she happened to look out the window to see a UFO in our backyard, on Ben Franklin Road North in Indiana, PA about 1.75 acres away near the woods line. It was a saucer type ship with lights around the rim and she saw small beings walking at the base of the ship in front of the lights. She was frighten and ran back to bed. She had the senses they may have sensed she was up so she bundled in her covers and faced away from the bedroom window and tried to empty her mind and feign sleep. She feared what ‘they’ would do if they sensed they knew she seen them. She heard loud clanging sounds and the ship passed slowly by her bedroom window, it paused at the window as if checking to see if she was up then sped off. She said it was as loud as a coal truck clanging down the road. It was so surreal she questioned if it really happened and felt strange saying anything to anyone. My bedroom was on the ground level. At about the same time period, I heard a cluster of footsteps run past my window from the backyard to the front. It sounded like there were maybe 7 of them spaced a few feet from one another and would be the size of kids 11 years old. We were the only kids on the street with the exception of another boy down the street. I wondered if my brothers were sleeping out in a tent in the backyard with friends but they did not so it was unexplained. The landing cite afterward had 3 circles where nothing would grow, today there are still 2 distinct areas with no growth. Previous to that there was vegetation, it was more sparse than the rest of the yard, but ground cover existed. I’m not sure if soil composition can change but there is a patch of red clay where we never recalled seeing before. I was home a few days ago and took a soil sample from the landing area and an area maybe 20 feet away and the earth is very different. The top of the rocks in the landing area, looks different than the bottom of the rocks. I’m wondering how I can check the magnetism or radiation of the area, if anything still resides or if I can find any trace left from so long ago. I saw you have another report on your website from down he road during he same time period and yet another from nearby. You are welcome to investigate the site. We talk freely about it and it would be nice to have validation. Thank you for your time and consideration of our case. Sincerely, Kathy NOTE: The above image is a rendering. On July 25th, I was driving my car on the NJ Turnpike traveling northbound at approximately 3:30pm. I entered the NJ turnpike on exit 4 and had been driving northbound for approximately 10-30 minutes when I saw a ball/oval shaped object traveling at a high rate of speed directly in front of me in the distance. It ascended very rapidly and made a slight turn which caught my attention, then it traveled directly towards me. As I traveled northbound it traveled southbound directly over the NJ turnpike. Off in the distance was a small airplane carrying one of those big beach advertisements. The object was between me and the plane in the distance (I remember the plane being yellowish or light in color). I would think the plane would have been able to see the object too as it looks like the object originated very close to where the plane was. 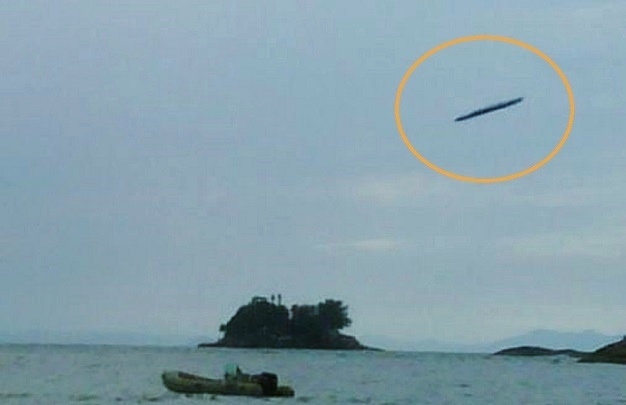 I did not see any wings on the object, when I saw it I was a bit surprised and didn’t know what it was, I estimate it as about the size of a helicopter although it was a ball shape it had no tail like a helicopter would. I turned my radio down and opened my window as the object quickly approached but I heard no noise as I typically would if it were a helicopter. The whole event from the moment I saw the object until it passed over me was probably no more then 8 seconds, it was very quick. I am the son of a retired pilot. Cars, motorcycle, helicopters, planes, hot-air balloons all interest me and I am familiar with many common shapes and sounds they all make and I can say with confidence I have never seen anything like this. The only thing I can think of is that perhaps it was a large unmanned drone? But I saw no markings on it as well as no way it could fly such as wings or helicopter style blades. NOTE: The above image is a rendering. This case is under investigation by State Section Director Ed Dobson of MUFON New Jersey. In truth, maybe we’ll stay “messed up” if we continue re-hashing and re-hashing, and hiring only “celebrity ufologists” to come out and give lectures because they are “the big names in the field,” and hence, the ones who will sell tickets. There are a great many brilliant thinkers out there whose names you never hear, and who wouldn’t sell tickets to a large-scale event; but what they have to offer might do more than just amuse or entertain… it might cause you to think. Innovators in ufology today, who actually present the best case for the existence of a phenomenon which we don’t fully understand? Arguably, many of the brightest thinkers aren’t names you would even know… and hence, from a practical business standpoint, you likely won’t hear them lecturing at large-scale UFO events. I think we all have to understand this… but we also must remember to try and overcome our reservations about listening to new voices in the field, whose work we know nothing about… just like we must overcome our feelings about what a UFO skeptic has to say on the subject. In truth, we might learn something meaningful from each of them. Innovators in Ufology today, who actually present the best case for the existence of a phenomenon which we don’t fully understand? Arguably, many of the brightest thinkers aren’t names you would even know… and hence, from a practical business standpoint, you likely won’t hear them lecturing at large-scale UFO events. I think we all have to understand this… but we also must remember to try and overcome our reservations about listening to new voices in the field, whose work we know nothing about… just like we must overcome our feelings about what a UFO skeptic has to say on the subject. In truth, we might learn something meaningful from each of them. So is ufology “dying”? Is there so little to this phenomenon that there is nothing to be studied at all? I think that’s hardly the case; the problem, instead, is that we have become hung up in the ideological extremes, and the cult of personality surrounding those who have (and I say this in appreciation of their work) dedicated their lives, and livelihood, to studying this mystery. For a few of them, it has led to fame and notoriety… I wonder if they, after working so hard, and for so long, would really want people to shrug off new ideas and good research that may arise elsewhere, in favor of an autograph instead? It’s food for thought…Still, I would argue that the newest, and best innovators in this field are “below the radar,” so to speak. You may not find them at conferences, because they don’t draw crowds; you won’t see them on television, because they aren’t sensational enough to bring ratings. You may not even read about their work, because some of them are applying technical thought to the subject that publishers wouldn’t find appealing on any printed page… but they are out there, and they are working. I know, because I am familiar with many of them myself. In fact, I would argue that some of the best innovations in the study of unidentified aerial illuminations aren’t even generally accepted as what we call “UFOs,” and largely due to the fundamental (but timeless) misinterpretation of the acronym UFO–meaning simply an unidentified flying object–being taken to mean an extraterrestrial spaceship, which was never the intended use of the term. Serious study of UFOs will always be criticized, but arguably, this is largely because it’s detractors are among those who don’t know where to look for the good research that’s being done. These critics will continually watch the sensational television shows, and sit in the back rows at popular conferences and events, criticizing arguments that, at times, are so easily deconstructed that it’s easily likened to shooting fish in the proverbial barrel. But what they are criticizing often isn’t the most meaningful, relevant, or up-to-date information on the subject; perhaps they should spend their time and criticisms more wisely, and go looking for a harder argument to deconstruct. And as for the groups who continually prop ufology high atop a rickety scaffolding of old cases, fringe theories, and sensational claims, they should learn to expect that critics will continue to attempt to debase their arguments. In truth, neither of these opposing sides seem to be interested in discussing the most relevant details pertaining to true anomalies which may exist in our world. NOTE: The above image is a rendering. 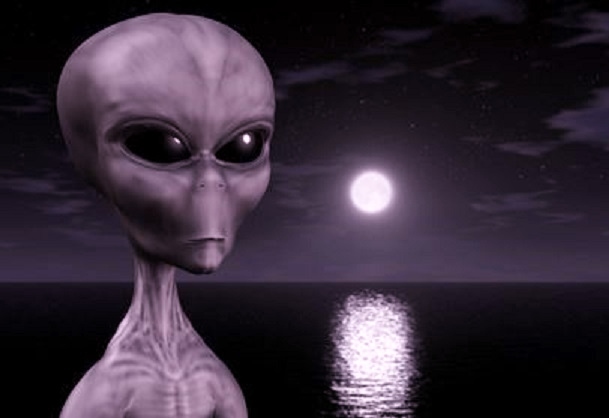 KENS NOTE: I have been harping for years as to why all of the UFO conferences do not have a showcase of UFO photos. I had a presentation of UFO photos at the Baltimore Conference a few years ago and I feel it was a hit. There are many original and real UFO photo available to the public but they are never presented at a UFO conference. Why ?? I am the founder of the largest UFO photos web site in the world. Over 7000 great UFO photos and galleries of strange photos from the Moon and Mars. I have all the information so there is no excuse why some of these great photos can’t be presented to the public and the world. My husband and I were sitting in the backyard so that I could smoke an after-brunch cigarette and facing the SE. Dragonflies and butterflies, among other bugs and birds, were flying around. I love watching them all so I try to catch every movement. In front of me but at a good long distance away, a movement caught my eye and I watched it zip from my right to left a short distance and disappear all within three seconds. As it faded, there were some leaves and limbs in the path of my view from a certain point and the object was never seen through it or from the other side of it. The edges were somewhat blurry like a heat signature, but the color and details were clearer than I would have expected. It was about two inches long by 1/4 inch wide; yellow like a bee with black detail or windows, maybe both, on the top half. I only saw it for 3 seconds and still can’t believe how much I saw since I can’t even see the details on a dragonfly flying by but I can see its shape and wings. After it registered in my head that it was not a normal object, I told my husband what I saw and we discussed it. I didn’t want to report it, but then decided if there was a similar report that I would report it. Doing a search in the data base for a cigar, gold to copper, the first person revealed seems to have seen a similar object just a couple of weeks ago so here I am. NOTE: The above image is a rendering.